When I was a kid, my mom would braid my hair while it was damp and then after it dried we'd take it out and I'd have amazing mermaid hair. I would wear a bathing suit and pull my sleeping bag over my legs and lay on the couch flipping my tail like a true mermaid sunning herself on an ocean rock while watching cartoons. 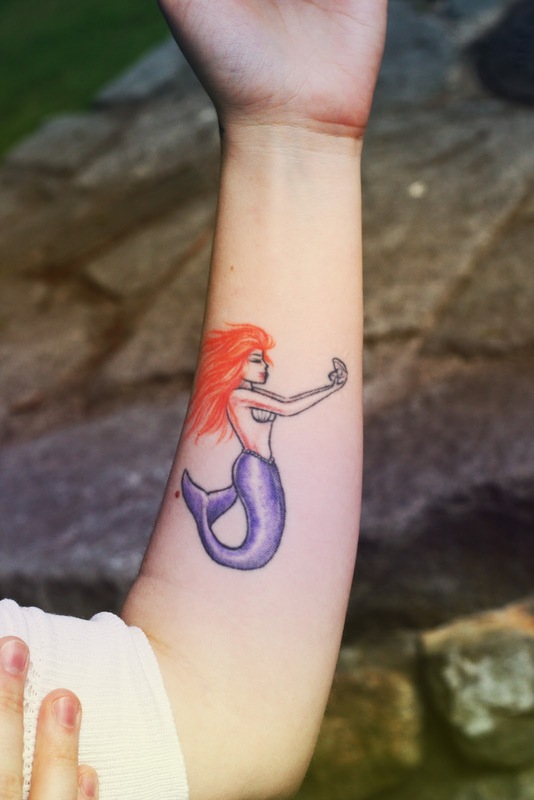 When I had her tattooed on my arm I asked the artist to make her hair particularly fiery and amazing. The tree of life appears in nearly every religion and symbolizes how we are all connected to one another. I think it's a lovely image and even lovelier sentiment. My mom and I got these together. My brother was coming into town and he had a tattoo all picked out for himself. I really wanted to get one alongside him so that we could have that fun experience together as a permanent way to remember his visit. I suppose I could apply some kind of symbolism to this tattoo about striking out on my own and being free as a bird or something, but mostly I just thought this one was pretty. I got my bachelor's degree in music and wanted something other than an obvious treble clef. I decided on a bluebird of happiness. He's singing a little eighth note. A peace rose. My grandma Ruby Rose's favorite. 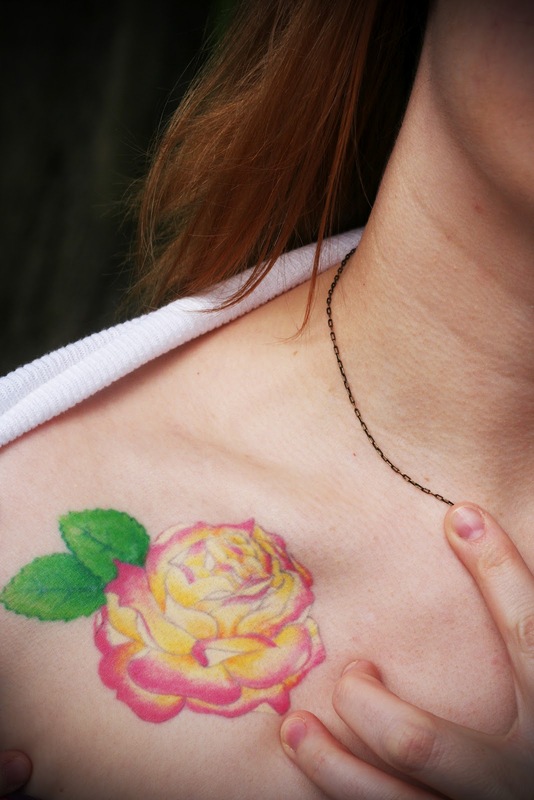 This tattoo honors one of the best women ever to be born. I miss that lady. So there you have it! I have a couple more and plan to continue my inking eventually, but these are the highlights. Tell me about your meaningful pieces if you have them! I love the ankle tattoo, really beautiful and love story behind it. So awesome to hear about the stories behind these! I am loving how colourful your tattoos are...that little bluebird is just darling and the birdcage is so unique! 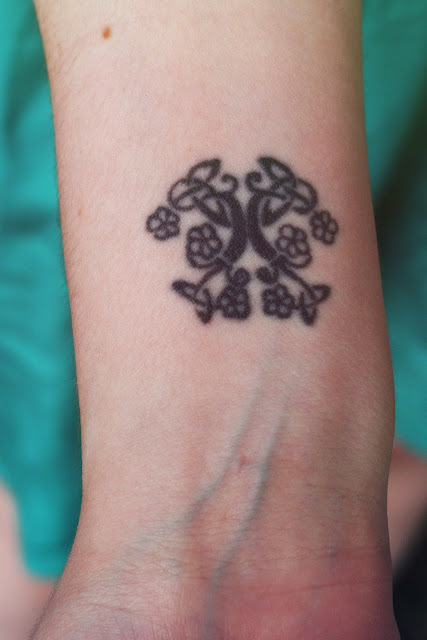 I'm not a big fan of tattoos generally, but I think yours are so pretty and classy! The rose and bluebird are my favorites! 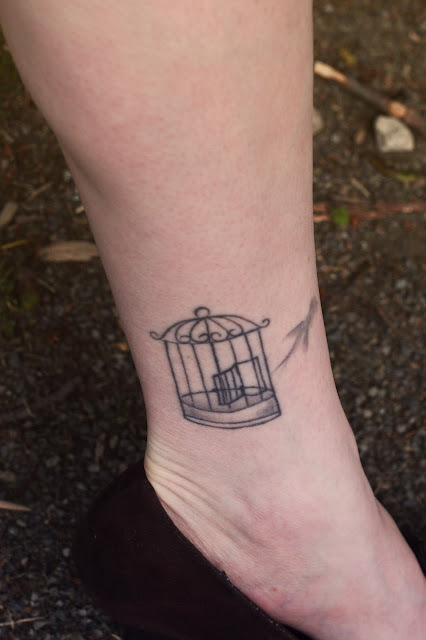 Very cute bird cage tattoo!